Mountain biking is a great hobby that everyone can start without much preparation. It is a great way to relax on the weekends after a long week at the office. It can help you get or stay in great shape as it is an amazing exercise. It takes you outdoors and puts you in contact with nature.It can even be something you do with your family as a bonding experience. The first thing you need to do if you want to take up this sport is of course to get a bike. There are a lot of different models and many factors influence the kind of bike you will be using. The main one is the type of riding you want to do. Some bikes are better for tougher terrains, while other kinds are made to make it easier to ride on hills. You will need to do some research and think about where you will take your bike before buying one, otherwise, you could spend money on things you don’t really need or even make your ride an unpleasant experience. We can say that this is the most popular mountain bike, and there’re a lot of good reasons for that. The first one is that Cross-country bikes, or XC for short, are really light in weight. This makes them a favorite among new riders, as anyone can use them without worrying too much about fitness level. Another advantage that comes with a lighter weight is that is a lot easier to ride in any kind of terrain, and hills don’t get as tiring when you don’t have to worry about a heavier bike dragging you down. 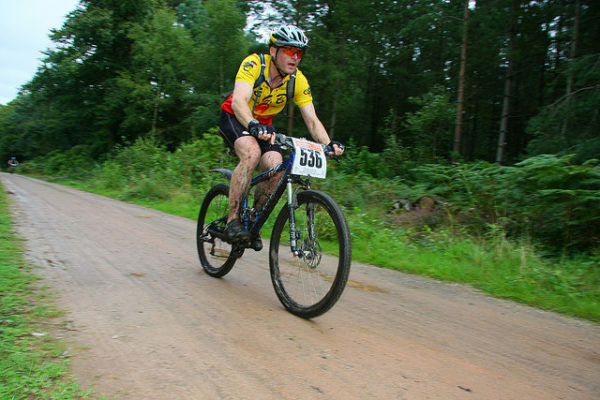 In fact, XC bikes are so comfortable and easy to ride that a lot of bikers ride them to work during the week! You can’t really go wrong with an XC bike, and if you are a complete newbie at mountain biking it is recommended that you get one. The only choice you will need to make is if you want a full suspension or a hard-tail one, and that depends on the kind of terrain where you plan to ride. 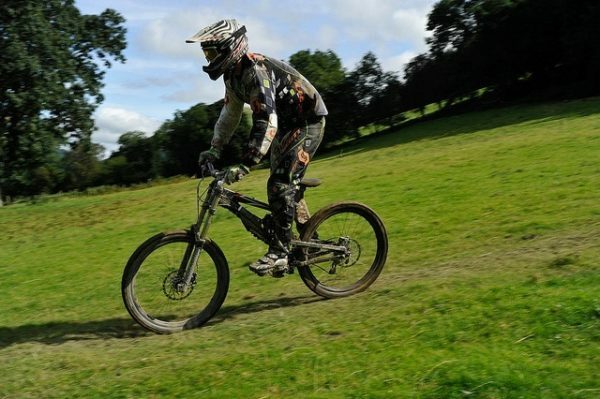 Remember, rough terrain is a lot easier with full suspension, while a hard-tail is faster but less comfortable. 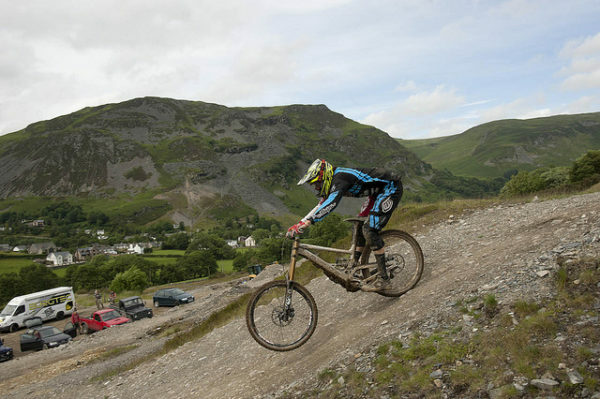 A pro mountain bike is often only used for competitions, and they are built for the most skilled bikers. These bikes are built with really high-quality materials, which in turn make them quite expensive and hard to find. In fact, often manufacturers will only fabricate these bikes for the members of their sponsored teams and not for retail selling. If you are a newbie, it is not recommended that you buy one of these (of you even find one). You won’t be able to use it to the fullest and more often than not you don’t really need this kind of quality. Only get one of these if you plan to compete in the near future. After you get some experience riding, it is natural to want a little more of a challenge. A lot of bikers find this in Downhill Mountain Biking. The rush of adrenaline that you get while descending through a hill at full speed is hard to describe and get with something else. These bikes are often made with heavy and strong materials to bear the brunt of terrain without breaking. In fact, often bikers will have their bikes custom made to fit their specifications and to make sure they will endure the beating. It is a bad idea to get this kind of bike if you don’t plan to do Downhill Biking, as the heavy materials will make normal rides harder and more tiring. It is very important that you don’t try DH mountain biking if you don’t have a lot of experience. It is the most dangerous form of the sport and it needs special protection equipment to ensure you don’t get hurt if something goes wrong, so make sure you know what you are doing if you plan on trying it. If you don’t plan to ride regularly and you don’t need the specifications that XC or DH bikes provide, then it is worth it to take a look at the more general mountain bikes. These are meant for recreational use and are a good idea if you don’t plan to do serious rides. They are also perfect for family use, as they come in many sizes and shapes. These bikes have another advantage. They can be found in most department stores, so if you don’t know of any biking shops in your town, it is smart to look for one of these bikes. However, don’t hesitate to visit a biking shop if you know one, they will offer far better and more specialized advice compared to a normal department store. After you have chosen and bought your bike, it is also important that you consider the risks of mountain biking and prepare for it. Ask the seller about protection equipment that suits the kind of riding you will be doing without being intrusive. This is especially important if you’re riding with your kids, as they can fall easily in certain kind of terrains. Consider your skill level when choosing terrain to ride. If you are just starting it is wise to stay within plain terrain without a lot of bumps or hills, when you start getting more experience you can try harder courses, just pace yourself and don’t go beyond your limits. Always try to ride with a partner if possible, you don’t want to be alone if you have any kinds of accident. Always keep your bike well maintained and make sure you take it to the specialist if you have any troubles. It is not recommended that you try to do your own reparations, as you could damage the bike even more or compromise your own safety on future rides.